Anyone who grew up in the ‘60s remembers Disney’s classic 20,000 Leagues under the Sea. I was channeling that movie when I did this drawing. 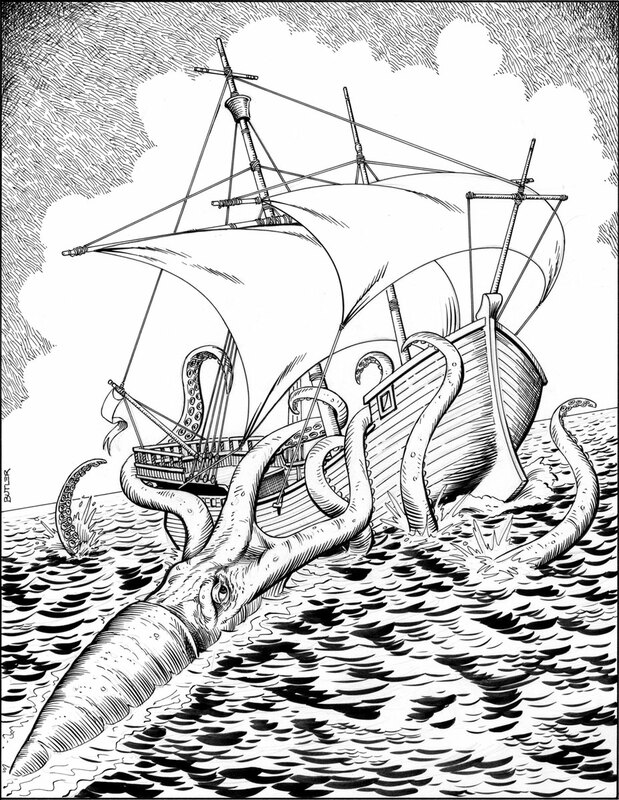 Giant squids still capture the imagination. A year doesn’t go by without a new sighting or story on the internet.